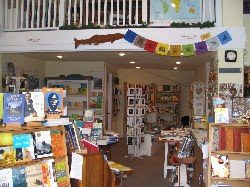 This locally and independently owned shop features good reads for everyone, including Lewis & Clark books, quality modern fiction, and Northwestern history. Diaries, reading glasses and greeting cards are a sampling of accessories available at this business. A literary haven in downtown Astoria.